You are here: Home � All Deals , Retail: Clothing Toys Baby Shoes Children � Get a Wilson Youth Backpack [Pink] for only $6.99 shipped! Get a Wilson Youth Backpack [Pink] for only $6.99 shipped! 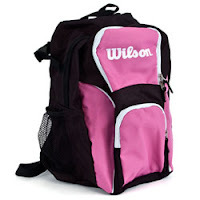 Buy.com is offering a Wilson's Youth Backpack in pink for only $6.99 shipped. The backpack comes with a main zipper pocket, plus two mesh sleeves on the side that are great for holding cans or water bottles, and lastly a front zippered pocket good for holding smaller items. Take advantage of this deal by clicking here.